Also known as Yunnan Paiyao is a Chinese herbal formula that is commonly used internally and topically to stop bleeding, pain relief, reduction of inflammation and wound healing. The herbal mixture was developed in the Yunnan province of China in the early 1900s and was historically carried by foreign soldiers as a hemostatic agent for trauma. It has since become widely used in the US by Veterinarians and License Acupuncturists. 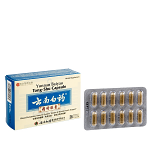 Promotes healthy blood circulation and is a valuable medicine for first aid. 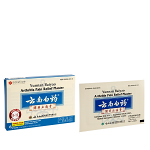 Its primary application is acute traumatic bleeding, where the powder is applied directly to the cut. Blood stasis, swelling and pain. For bruises, bruises, sore muscles and rheumatism.